Morningside Place is a vibrant memory care community, located in historic downtown Overland Park and easily accessible from Highway I-35 and Metcalf Street. Our building has been specially designed for memory care residents with a unique circular design which provides your loved one with a sense of freedom of movement, while being watched over in a safe and carefully monitored environment. Your loved one will experience plenty of open spaces and fresh air in our modern, yet homelike atmosphere. They will enjoy a beautiful outdoor garden area with a sparkling white gazebo in its center. Our inviting dining area with its open floor plan and high ceilings provides a gathering place for both residents and their families to dine together. With many cozy fireside nooks to choose from throughout our community, our residents, caregivers, and families can spend time connecting and forging strong relationships, which benefit everyone. Our “Better Together” active volunteer programs tap into a talented base of young people throughout Overland Park who have an interest and a desire to serve in memory care. And, we’re big believers in the therapeutic effect of animals on our residents. That’s why our therapy animals visit regularly, connecting with residents and bringing a smile, as only animals can do. 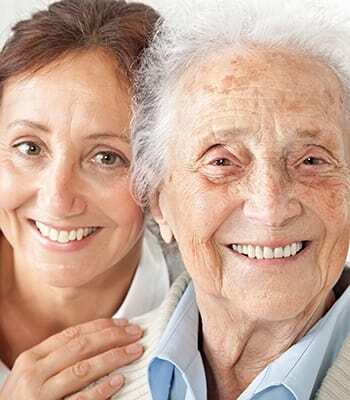 At Morningside Place​ we believe in nurturing our staff of caregivers as well as our residents. All those who live and work here are treated with respect and love. The result is a truly caring supportive “just right” environment for your loved one.